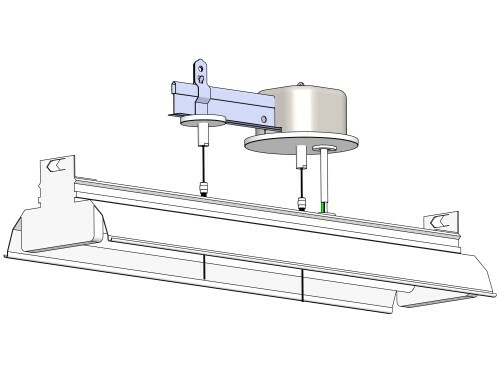 T-Bar Mounting of non feed side of drop ceiling fixture assemblies with loop attachment inside ceiling for independent support wire as required by Building Codes. T-Bar Mounting of a feed kit inline with T-Bar with loop attachment inside ceiling for independent support wire as required by Building Codes. Cord is terminates at ceiling level as required by codes below.